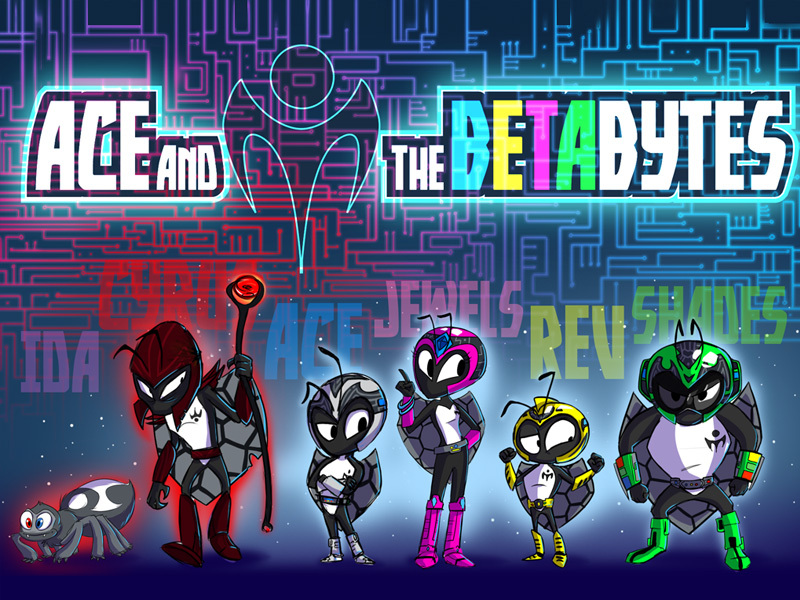 Ace and his team of Betabytes work together to defend against the constant threat of Cyrus the Virus and his minions of spider-bots from taking over cyberspace and deleting the digital world! Set within the online world, the team will explore various engaging challenges such as protecting personal information, protecting against viruses, avoiding pop-ups, phishing scams and a host of other attacks by Cyrus. Real world facts meet the animated online world to take the audience on a funny adventure with just the right amount of action. Spreads viruses and malware, etc. In their quest, Ace, Jewels, Rev and Shades work together and reveal various traits and personalities that kids can connect with. For example, Jewels’ cloaking abilities allows her to move stealthily when she can get it working properly; Rev’s quick speed allows the Betabytes to overcome many challenges, although sometimes his excitable nature can lead to hilarious consequences. Sometimes it’s hard to see but a clear transition has begun to cleaner forms of energy. The inspiration for this series comes from interest in renewable energy itself and the realization that the desire to use less and more sustainable forms of energy cuts across the political spectrum. While we all wrestle with the economics and the politics of energy worldwide there is an underlying desire in us to get to work on a system that is better for the planet. 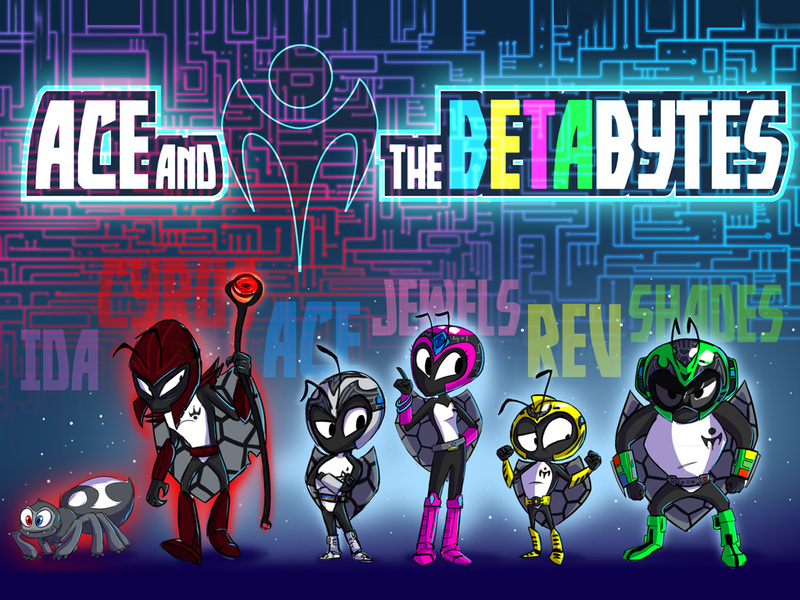 Ace and the Betabytes is a convergent media project which will immerse kids in the cyber world through relatable characters, funny moments, strong storytelling, riveting missions and visually dynamic animation. Designed with and, in part, by kids the story allows access to timely and relevant areas of interest for this demographic. Parents viewing with kids can also benefit from some accurate and real world applicable information. In addition to the television series, our award winning digital media team will create a mobile game and interactive online digital media experience to engage audiences and transport them into the digital landscape. 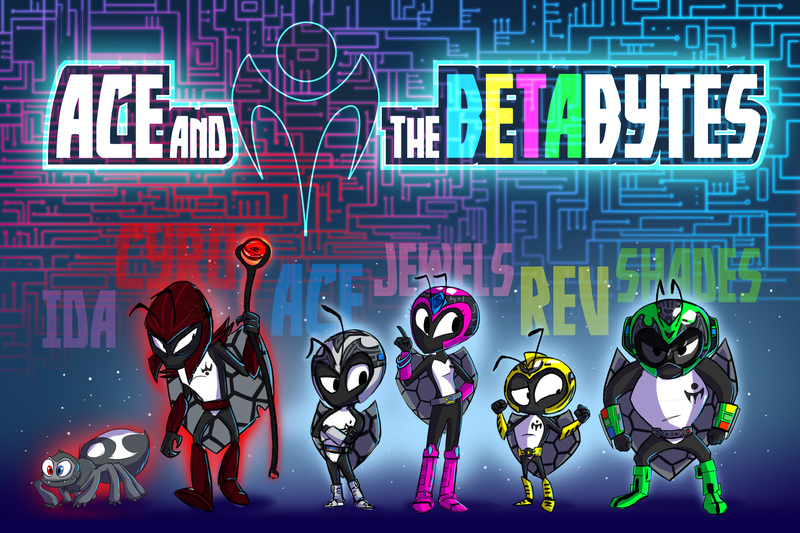 Check back often for more backstory and updates about the world of “Ace and the Betabytes”.